The Smiling Eggplant: Jhumpa Lahiri is writing in Italian- perche'? Jhumpa Lahiri is writing in Italian- perche'? 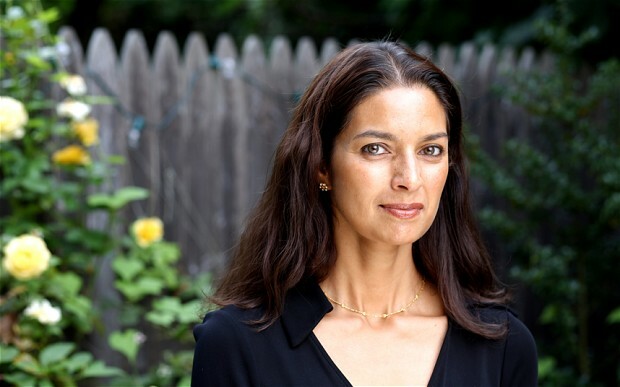 Jhumpa Lahiri is a prominent author who was born in London of Indian parents, and brought up from the age of two in Rhode Island, in the United States. She has achieved widespread acclaim, and won the Pulitzer Prize for fiction at age 32. Writing in English. Like so many foreigners before her, Lahiri became infatuated with Italy and the Italian language. She explained the long process of learning the language in a recent article in The New Yorker. But what was most surprising, even shocking, is that after having moved with husband and children to Rome (she has since moved back to the States), she decided to start writing in Italian. I must admit that I find this decision to be strange and incomprehensible, even bizarre. She has now written her first book in Italian, the memoir In altre parole. To reach a more international audience, she proceeded to have it translated by the ubiquitous Ann Goldstein. Lahiri explains that she neither felt comfortable with the Bengali of her parents nor with the English of her acquired country. Due to her overwhelming attraction to Italian, she decided to reinvent herself as an Italian, or at least an Italian author. She stated that she feels liberated and stronger as a writer in her new language. From what I have seen of her Italian (and I don't mean to be brutal) this is a subjective feeling. At least so far. Yes, it's been done before, and it's been done well- that is, writing in a foreign language. Notably by Joseph Conrad and Vladimir Nabokov. But I don't see that happening here. Also, almost invariably, authors who switch languages do so by switching to a more widely spoken language, which often means a larger readership (and market). Not only is Italian not widely spoken, Italians are not big readers. If nothing else, this is a brave move. It will be interesting to see what comes of it and if the lovely lady ever decides to change her mind.